A man in Albuquerque, New Mexico says he has come across a miracle. What miracle? 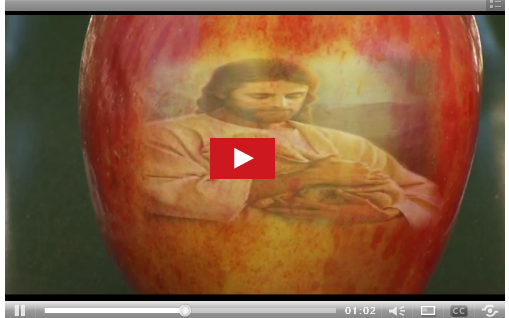 The image of Jesus Christ holding a lamb in a Fuji apple. While making apple sauce, David Duran noticed an image in one of the last apples. And it's the image of Jesus holding a lamb. "This is the first time Ive seen this on a piece of fruit or any type of vegetable." says Duran. A priest even blessed and anointed the apple and neighbors have been coming over to see it.